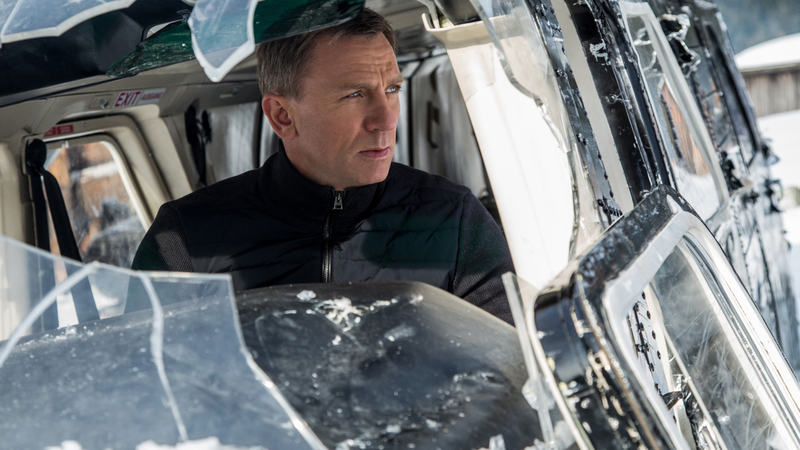 Spectre’s opening sequence sets out the film’s purpose perfectly. We’re in Mexico City, swooping over the celebrations for the Dia de Muertos, a festival in which the living and the dead collide. Over the next 2 and a half hours, the film itself pulls off the same trick – the new, Bourne-inspired muscularity of the Daniel Craig era is very much intact, with the added relevance of an anti-surveillance message, but Spectre also delights in giving us some very old-school Bond tropes. Villainous lairs in meteorite craters, a near-mute powerhouse who fights 007 on a train, and the eponymous evil organisation evoke the Bond of the ‘60s and ‘70s, whilst retaining most of the elements that made Casino Royale and Skyfall so successful. The aforementioned Dia de Muertos scene is, as well as a powerful introduction to Spectre’s themes, absolutely jaw-dropping in its own right. Sam Mendes and his cinematographer Hoyte van Hoytema employ one of the most audacious single-takes I’ve ever seen, tracking Bond (Craig) from the vast festival crowds, through a narrow apartment building, over a series of rooftops, until an assassination and a crumbling city block force a visible cut. It’s undoubtedly the film’s high point and a striking example of auteur-ship in mainstream studio cinema, generally reserved for David Fincher or Christopher Nolan. Things slow down considerably for a good hour or so after Bond gets out of the Americas and goes off on an unsanctioned scavenger hunt to unearth Spectre and its shadowy leader Oberhauser (Christoph Waltz). Every new location is beautifully shot, the Alpine moments particularly stunning, but the action scenes in this stretch feel somewhat devoid of any real drama. A car chase through Rome is the main offender here, an oddly flat though admittedly very pretty tour of the city. Meanwhile, the new M (Ralph Fiennes) is caught up in a political struggle with ambitious upstart C (Andrew Scott), struggling to justify the continued existence of the 00 program against C’s all-seeing surveillance plans. Spectre makes no attempt to hide its feelings on the debate; the UK’s status as one of the world’s most constantly watched nations is not something to be proud of. Bringing to mind last year’s Captain America: Winter Soldier, the script by Neal Purvis, Jez Butterworth, John Logan, and Robert Wade is bracingly subversive for a blockbuster, which keeps these boardroom scenes interesting. It also doesn’t hurt that watching actors of the calibre of Fiennes and Scott trading snarky barbs is a joy, regardless of the subject matter. Christoph Waltz is wonderfully menacing as Oberhauser, and though he is underused, his introduction kicks Spectre back into spectacular high gear. Given more screen time than Waltz, and using it very effectively, is fellow franchise newcomer Lea Seydoux as Madeleine Swann, a doctor of great interest to Oberhauser. She’s not quite the foil to Bond we were promised, but even when her material gets thin, Seydoux makes the absolute most of it, easily holding her own on screen with the enormous presences of Craig and Waltz. By this point, Daniel Craig really has made Bond his own. He’s more rage-fuelled and brutishly strong than his predecessors, but that doesn’t mean he can’t dial up the suave when he needs to, and he’s allowed some slyly knowing winks at the silliness of it all, especially when paired with Ben Whishaw’s Q. Watching Craig wreak havoc is a whole lot of fun, whether he’s chasing down a convoy in a plane or using pure intimidation to make a security guard let him escape without a fight. Most of the action scenes have more in common with the grimy violence of Casino Royale than the slick shootouts of Skyfall, but the enormous budget is evident in the exceptional practical effects and sparingly but impactfully used CGI. Performances are pretty much across the board excellent, although Monica Bellucci’s much-hyped age-appropriate scenes with Bond actually awkwardly fizzle out into nothing. Rory Kinnear, Jesper Christensen, Naomie Harris, and Dave Bautista fill out the swollen cast, and it’s mightily impressive that even with this many characters and a nearly equivalent number of locations, Spectre is never a struggle to follow. As with Skyfall, Spectre does not particularly concern itself with having an entirely coherent plot, instead very content to provide us with a series of very cool events that are vaguely tied together. The grand reveals are hardly a surprise, and the motivations of Oberhauser are tinged with a pettiness that doesn’t fit with the story’s global scale. But for any Bond fan, these problems will prove negligible, and there’s such confident showmanship on display here that when Spectre hits it stride, very little can take away from just how ridiculously enjoyable the whole thing is.